Meet the Board — Coastal Biology, Inc.
Our board is comprised of experienced field biologists and successful business people whose desire is to share their knowledge and passion with you. We believe — nature enriches your life. Our team has over 60 years experience in coastal environments that we want to share with you. Rick has a B.S. degree from the University of Florida with a double major in Psychology and Zoology and a M.S. degree in Biology from the University of Central Florida. He has worked on marine biology research and monitoring projects since 1991, including commercial fishery landings, right whale migrations and horseshoe crab mating. However, Rick began studying sea turtle nesting in 1992 and sea turtle populations in the ocean and inshore waters in 1996. He has worked in the Southeastern U.S. and Hawaii and authored or co-authored dozens of peer-reviewed papers and technical reports on sea turtles. Rick is currently working part-time for the Sea Turtle Conservancy and part-time for the University of Florida as a research assistant. He is working on his Ph.D. in the Department of Wildlife Conservation and Ecology and in association with the Nature Coast Biological Station. His previous position for nearly 10 years was the sea turtle Habitat Conservation Plan Coordinator for Indian River County. Nancy's passion for aquatic life and education started early. Her first jobs in high school included a tutor, swim instructor and water polo coach. After receiving a B.S. degree in Animal Science and Management from the University of California, Davis, she came to Florida as an intern at Disney's "The Seas with Nemo and Friends." Afterwards, Nancy obtained her M.S. degree at Florida Institute of Technology (FIT) studying seahorses. She was the site manager and research associate at the FIT Vero Beach Marine Lab. Currently she is working as an biological scientist at Disney's "The Living Seas." Her focus is on seahorse conservation and Nancy coordinates with a variety of government and non-government organizations to evaluate seahorse populations in the Atlantic and Gulf of Mexico. She also works on various education programs and has been the lead coordinator on our diamondback terrapin project in the Indian River Lagoon. Laura began her career in biology in 1995 through the University of Central Florida. Her formal education in vertebrate zoology, benthic ecology, and Geographic Information Science (GIS) has lead to her involvement in a diverse array of research projects. Long-term projects include work on sea turtles, fish, wading birds, seagrass and macroalgae in estuarine and marine systems. Her graduate research focused on fragmentation of dominant species of macroalgae in Florida Bay and along the Florida Keys Reef Tract, where she had the opportunity to be an aquanaut in the underwater lab, Aquarius. 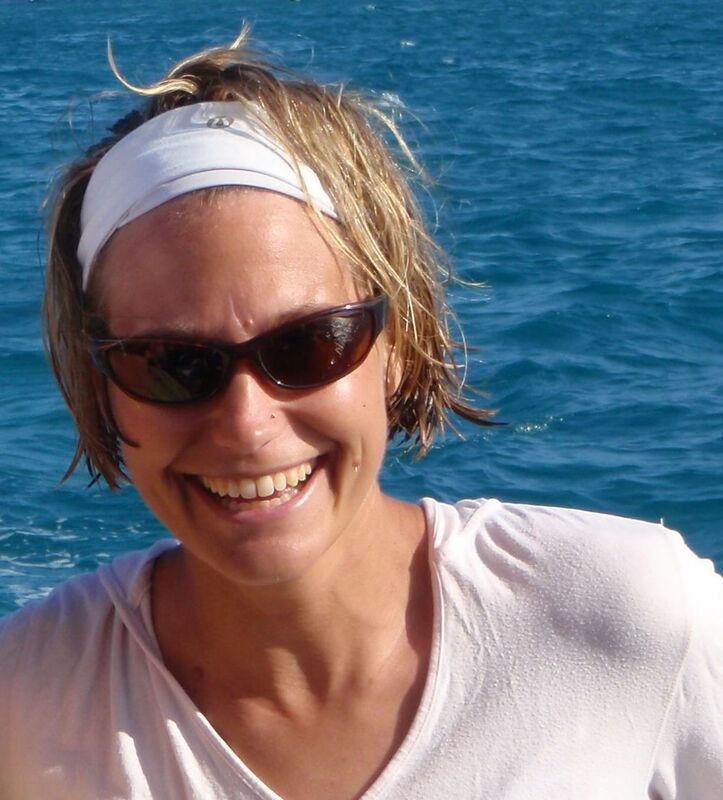 Laura has been an active research diver meeting American Academy of Underwater Sciences (AAUS) requirements since 1999. She has managed seven Indian River Lagoon Aquatic Preserves for the Florida Department of Environmental Protection and was, until recently, a full-time research biologist in the Harmful Algal Bloom Laboratory at Florida Atlantic University's Harbor Branch Oceanographic Institute. She has published in the journals Coral Reefs, Journal of Experimental Marine Biology and Ecology, Harmful Algae, and the Journal of Coastal Research.